UPM, a Finnish maker of sustainable, forest-based products, has unveiled a new concept car - and many of its parts are completely wood-based. 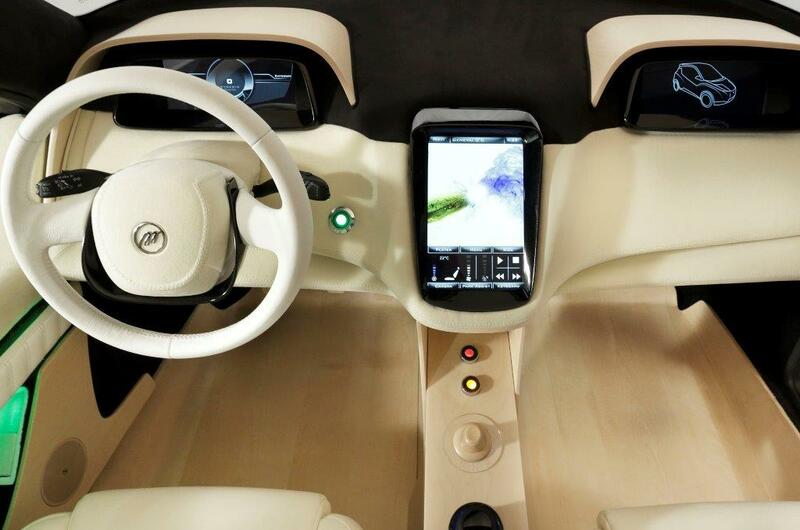 The Biofore Concept Car replaces nearly all traditionally-plastic parts with parts made of biomaterials, including thermoformable plywood material and wood-based renewable diesel. The Biofore car is a joint production between UPM and the Helsinki Metropolia University of Applied Sciences. Students of industrial design and automotive and mechanical engineering from Metropolia University were responsible for designing and building the car from start to finish, requiring the participation of around 50 students for the four-year project. 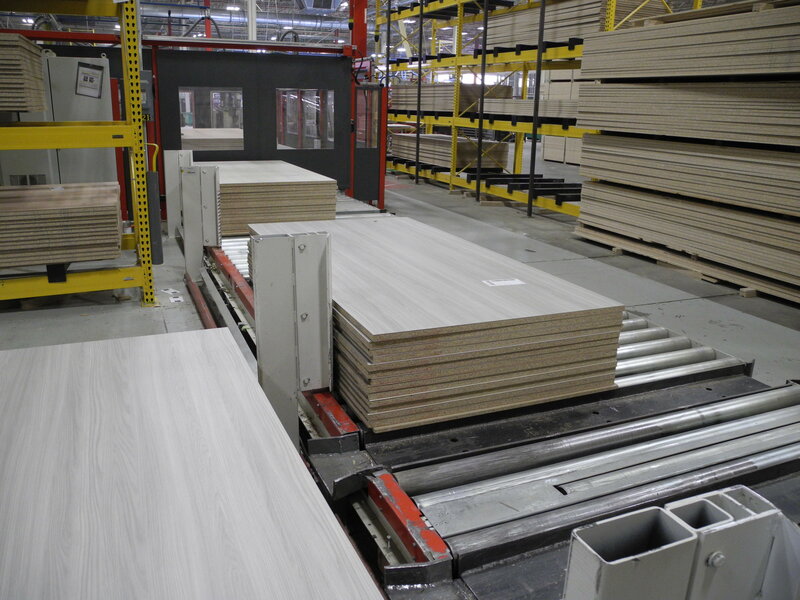 The passenger compartment floor, center console, display panel cover, and door panels are all made from UPM's Grada material: thermoformable rotary-cut birch veneer material. The front mask, side skirt, dashboard, and interior panels are made of its Formi product: biocomposite made from cellulose fiber and plastic. The car also features self-adhesive materials made in a solvent-free production process. 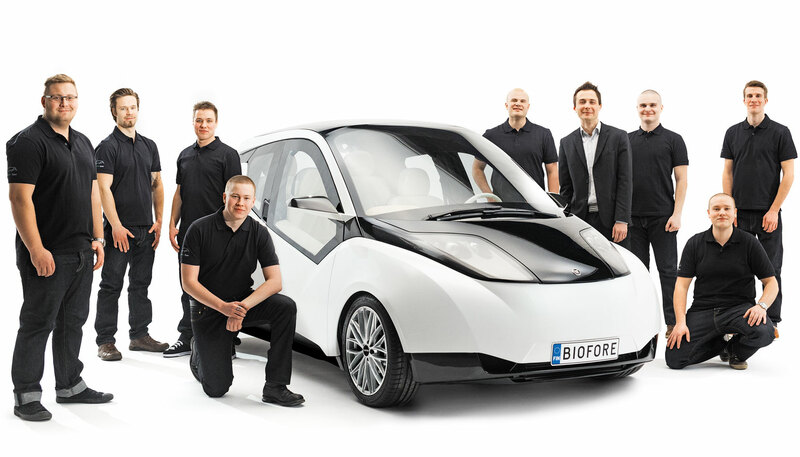 Metropolia students also designed the Biofore car to run on IUPM's wood-based renewable diesel fuel -- BioVerno. 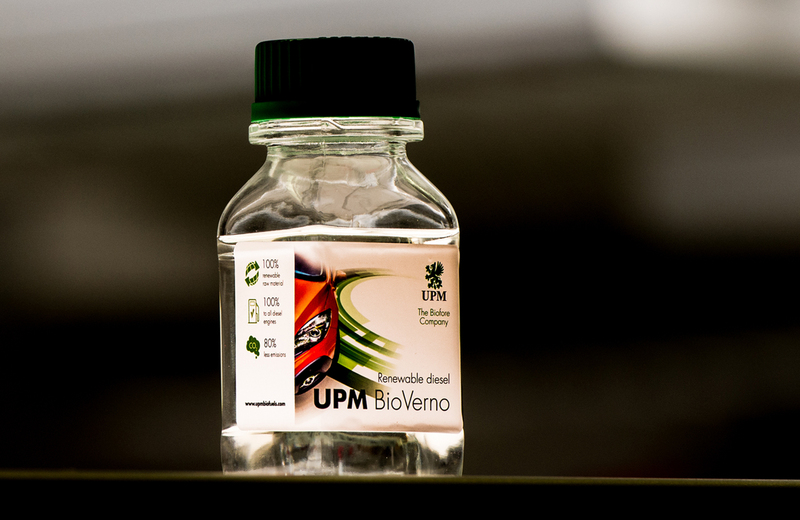 UPM says BioVerno reduces greenhouse gas emissions by up to 80 percent over fossil fuels. Tailpipe emissions are also reduced significantly. Because of biomaterials used in the creation of this car, including UPM's Formi plastic biocomposite for exterior and interior parts, the car is approximately 330 pounds lighter than other vehicles, resulting in lower fuel consumption. UPM, with its six business units, manufactures recyclable products from renewable raw materials. Headquarted in Helsinki, Finland, the company employs approximately 21,000 people.